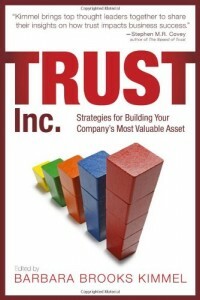 The business case for being trustworthy is often extraordinarily pragmatic. Be trustworthy, and in the long run you’ll make more money. The case for this is grounded both in common sense, because people like to do business with those they can trust, and in game theory, which notes that while it’s rational to betray people in short run, if you’re going to run into them again, or into people they may have talked to, well, it’s probably a good idea to act like someone they’d like to do business with, as opposed to someone they don’t trust even as far as they can throw them. Act trustworthy, which is to say, do what you say you will and take care of the other person’s interests, and it will rebound to your favor. This works, as Charles H. Green has noted, right up until the point that it’s not rational to act in a trustworthy fashion. If someone is trustworthy only because it’s in their best interests to be so, the second it isn’t worth it, they won’t be. Unfortunately a lot of people are only trustworthy to the extent that it’s good for them, not you. Today I want to talk about the first two. In game theory there’s a big difference between games which go on forever, and games which have an end. There comes a point in a person or organizations career or life where there isn’t a long term. Perhaps they’re about to retire. Perhaps they know they have little time to left to live. In economics this often called a “death bet”, which is to say, a bet that by the time the bill arrives, you’ll be dead. If I die owing millions, having lived well, and I don’t care about leaving any heirs money, what exactly did it cost me? If I betray a trust, knowing I’ll never need to do business with that person again, and that whatever they say about them doesn’t matter because I’ll be retired, moved thousands of miles away, or, well, dead, again, there is no cost to me. The second type of rational untrustworthiness is related to the first. If, by betraying you, someone can make enough money that they don’t need you in the future, then there is no future. They don’t need to worry about their “relationship”, because the relationship with their money is all that matters. The more highly compensated people are, the more this is true. During the housing bubble, huge amounts of mortgage fraud occurred because the participants were making so much money. When, in two to five years someone can make enough money to retire one, if they act ethically only for rational reasons, well, there is no reason to. If the mortgages or CDOs or CDSs are going to blow up after they’ve made as much money as they need to make, then trustworthiness goes out the door. If, on the other hand, they were making a hundred thousand a year and will need the job for 20 years, well, that might matter, but in the short term, fast road to riches environment, it doesn’t. In both these situations you’ll notice that what has happened is that the social time horizon has gone from long to short. Either way, the person involved no longer needs to worry about the long run, so the rational foundation of trust has gone away. They don’t need to be trustworthy, it no longer benefits them. Whenever a business or society sets up rewards so that the long run disappears, and all that matters is the short run, people who are trustworthy only because it’s what’s good for them will become less so. Indeed they very likely will become actively untrustworthy. As a client or consumer dealing with people who are rationally trustworthy, you must ask yourself always, “is this person going to keep needing me? If not, do they at least fear me telling other people they are untrustworthy?” If the answer to both questions is no, then you can’t trust them. I’ll touch on other failures of rational trustworthiness in future posts, for now, the point is simple enough: anyone who’s trustworthy only because they need your future business is no longer trustworthy the second they don’t.